This is thirtieth in the series on the rich cultural heritage of ancient temples in India. 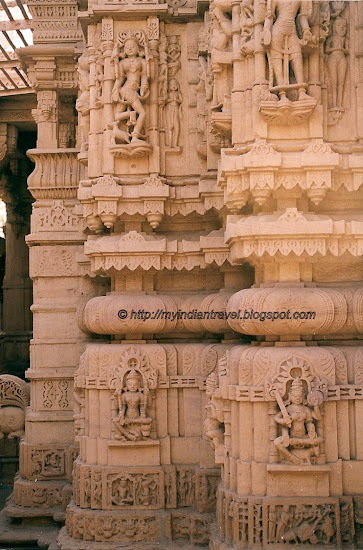 The ancient temples showcase sculptural work that is unmatched anywhere in the world. A beautiful Shivalinga at Parasurameswara Temple in Bhubaneshwar, the unique feature is that there are several miniature Shivalinga carved on it. It is said t there are all together 1000 on them. The external wall of the Jain Temples inside the Golden Fort at Jaisalmer has several beautiful sculptures carved on them. One of the many carvings on the ceiling of Thousand Pillar Basadi at Moodabidri. 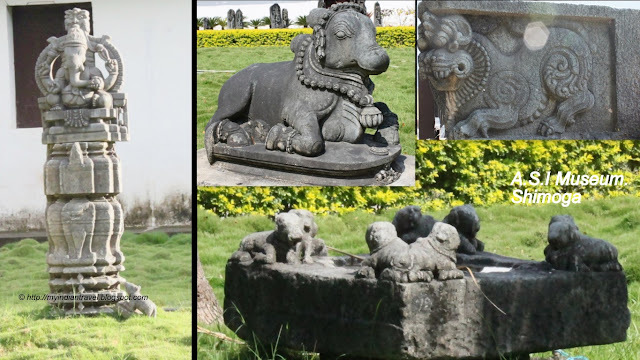 At A.S.I Museum in Shimoga there are several sculptures excavated from various locations in India. They are on display in the lawn of the museum. Absolutely breathtaking photos! Thank you for sharing! Wishing you well! You are so right about your countries sculptures. They are unique in the whole world and a wonderful cultural treasure for the whole world. I still wish I knew more about the artists who created them. wonderful carvings... how creative some artists are.... just wonderful . ps.. would you please be so kind to put a link to 'our' meme, or mention it, in the blogpost wich you link on our blog? Thank you! Really great and beautiful stoneworks. The first image reminds me of giant thimble. Boa tarde, imagens maravilhosas excelentemente captadas. Such incredible detail and artwork. Shivling's design is very unique . Your's this series is very informative . 1000 shivlingas carved in one single linga sounds interesting!